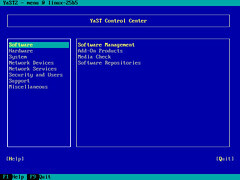 Installing SuSE 11.2 or higher: before the first reboot the CLI version of YaST looks horrible. Reboot or second CLI fixes it. 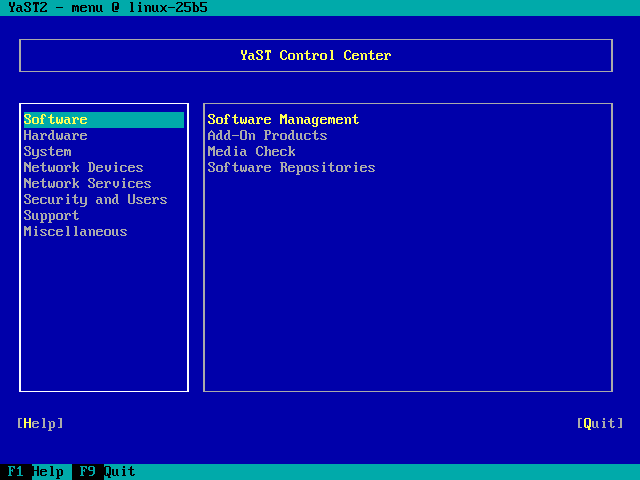 Since SuSE 11.2, when installing then the CLI version of YaST looks horrible on the first (Ctrl-Alt-F1) console before you do your first reboot. 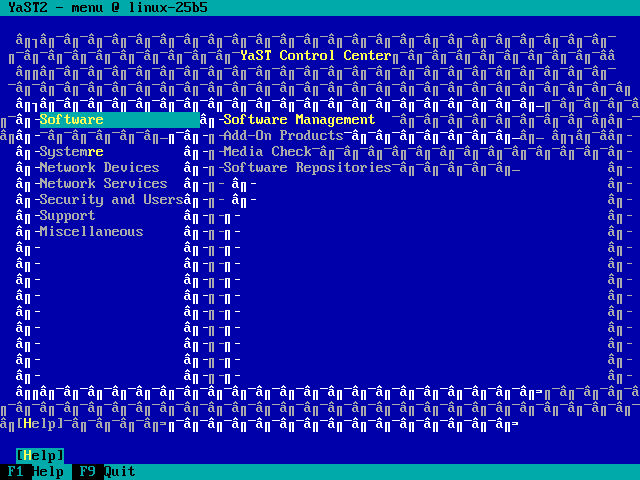 It still fails at SuSE 12.x. 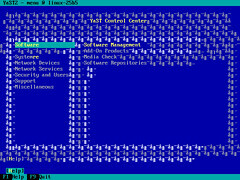 This entry was posted on 2013/08/19 at 06:00	and is filed under *nix, Linux, openSuSE, Power User, SuSE Linux. You can follow any responses to this entry through the RSS 2.0 feed. You can leave a response, or trackback from your own site.